Great home base for Zion, Bryce & Grand Canyon Parks! 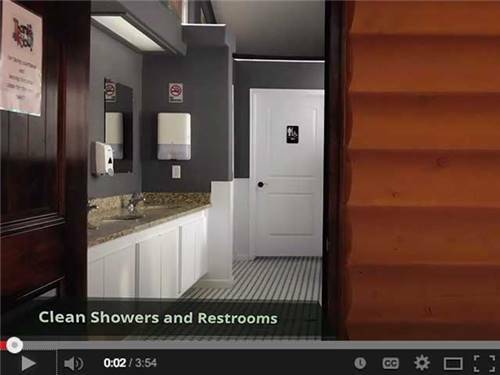 Big rigs, full hook-ups, tents, restrooms & showers. Laundry, free cable & Wi-fi. Easy access to ATV trails, groceries, banks, movies, restaurants, gasoline & Walgreens. 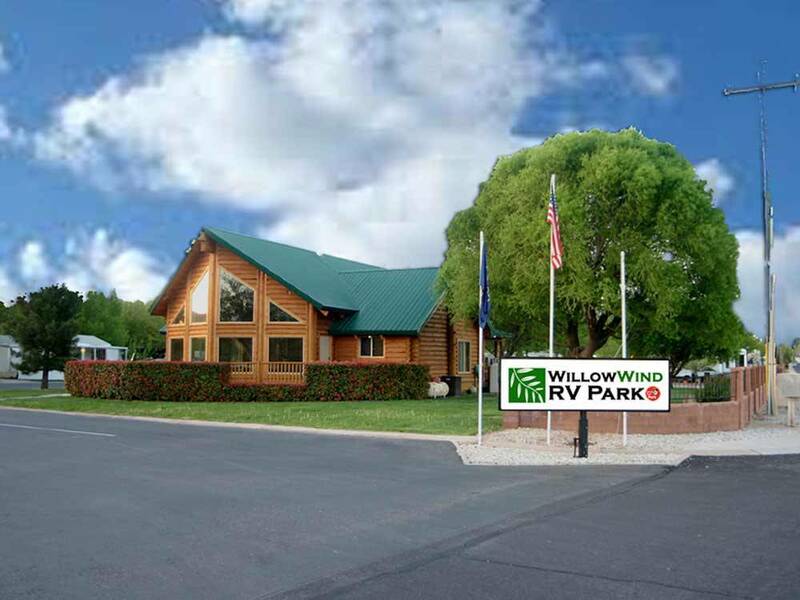 Willow Wind RV park is a very nice in-town “resort” style RV park with a lot of shade! We camped here for two nights during the third week of September 2018. We had full hook-ups in our level campsite that included water, sewer and 50 amp electric for $56 per night. This price was tied with one other RV park with the most expensive camping rates we paid during the entire RV season. This in-town resort was very quiet overnight. The location is very convenient to Zion National Park, only 23 miles away. All of their facilities are excellent, modern and clean. While they have a dog wash, they no longer have a dog park. A pet exercise park was on the campground map but it's no longer there. We met numerous surprised pet owners out searching for this missing necessity during our stay there. For that reason I can only give the park a "4" rating for their facilities. Even though the high price and lack of a dog park are negatives for us, the Willow Wind RV Park was still a very enjoyable place to stay. I will consider staying here again on my next visit to Zion NP. Stayed one night and really enjoyed the campground. Plently of trees, site were good size and the bathrooms were really nice. I submitted a reservation request online and received a call later that day and the employee was very nice and helpful. Will definitely stay there again and hopefully longer. Very quiet despite the size of this park. It is great to be so close to all the amazing National Parks in the area. The only thing I would change would be larger laundry facilities for such a big park. Thanks for the great month we spent in your hospitality! This park was lovely! Concrete pads with grass and shade trees between most sites. Great facilities, well maintained. No enclosed dog park but a dog walk along a drainage creek. A half hour from Zion. We would visit this RV park again! This park offers nice accommodations with spacious sites. It is located just off the main street in Hurricane in beautiful Southern Utah. It is 30 minutes from Zion National Park and an hour south of Bryce Canyon. St. George Utah is only 20 minutes to the south. The spaces are roomy and have lots of trees and green grass. Some sites are all rock but every space has a concrete pad for parking. Most are big enough to use as a patio as well. The spaces are spread apart so you don't feel cramped by your neighbor. Wifi signal is good but you are limited to two devices connected at a time. Cable/satellite TV is good as well. There is no pool so if you have kids they might be disappointed. We would recommend this park and will stay here again. Very nice rv park. Beautiful shaded, paved, level sites. Facilities were spotless and well appointed. Would definitely stay here again. This RV park is very nice in it's layout and amenities. All the other reviews do a very good job accurately describing how nicely the park is laid out. We will some of the minor items we discovered. We arrived after the office closed in June. They had a packet with our details waiting for us outside the main office. The site was easy to back in and was level. Of note, the sewer drain is in the middle pad so keep that in mind as you might not back all the way in and still have connections. The water connection is located in the ground in one of the plastic covers. Ours was overrun by roaches though they did eventually scurry away so I could connect the water. We traveled with 4 kids and there are many activities in the area, there are not many at the campground itself. Also, the campgrounds policy of charging $10 per person per night and their no cancelation policy within 30 days is the reason for the lower rating. This park is well set for the retired couple, or individuals traveling without children. It is easy to navigate in and get set up and the restrooms are some of the best I've seen. The the correct crowd, it is a very nice park, however we will probably not stay again. Very nice park, concrete pads, nicely landscaped, walk to groceries, pharmacy, restaurants, many other services. No-nonsense, efficient staff. Restrooms are exceptional. Excellent hub for national/state/OHV parks. Very quiet park as there is little for children to do except ride bikes/scooters. There is no play equipment or pool. Rec Hall is only open during the hours the office is open (9-5p). SHADE GALORE!!! QUIET!! Easy to access.Exceptionally clean facilities.. Fire pits are a nice touch to ignite conversations among guests. Perfect location for visits to Zoom and Bryce. Lots of mature trees throughout this park. Cleanest restrooms and laundry room. You will probably have to walk a long way to get to the restrooms. Besides the one-person only restroom at the office, there is only one other restroom at the center of the park. Be prepared to read 2 full pages of rules to initial at check-in. I mean, we did not want to lease the space, we just wanted to stay a few days.. We wanted to squeeze in one last morning hike before it hit 107 degrees at Zion NP and called to ask if we could get a late checkout. They said they would charge an extra day if we checked out after 12. So we did our hike, rushed back to the Willowwind and pulled off the pad at 11:59. What a nice park. Very clean and the streets are wide and paved. If you have a dish and want to use it, make sure you let them know at the desk. I didn't and the trees engulfed our rig (not a complaint). The facilities were all first class as was the staff. Will definitely use again. Near shopping for anything-- yet quiet on site. Lots of trees for shade. Laundry and bathroom facilities were top notch and clean. Staff very friendly. Back in site with level concrete pads. Easy access, very little noise and lots of trees. Brought my grandsons bike, he loved it. We will be back. One of the nicest RV parks our family has stayed at! Great amenities, walked to the grocery store, helpful friendly staff, nice flat spacious RV sites! We will be back! Very clean facility with nice pet area. Sites are wide with grass around the concrete pull throughs. Highly recommended. This is an easily accessible RV park with great parking spots, shady, plenty wide and with grass. Newly remodeled restrooms and new restrooms/showers are very nice. This is our "go to" spot on the way to Lake Powell and on the way home. One of the nicest RV parks we have stayed. Clean, well maintained and manicured. Very quiet! Level concrete pads separated by grass areas and lots of shade trees. Immaculate bathrooms, showers and laundry. Staff is helpful and friendly.